The aerial arts changed Melissa’s life! Her favourite apparatus is the hammock, because it allowed her to move in ways she never thought possible. Her passion inspired her to leave a decade-long media career to pursue teaching. Melissa especially enjoys showing new students that aerial is accessible for ANY body, of any age. "If I can do it, so can you. Let's get better together! 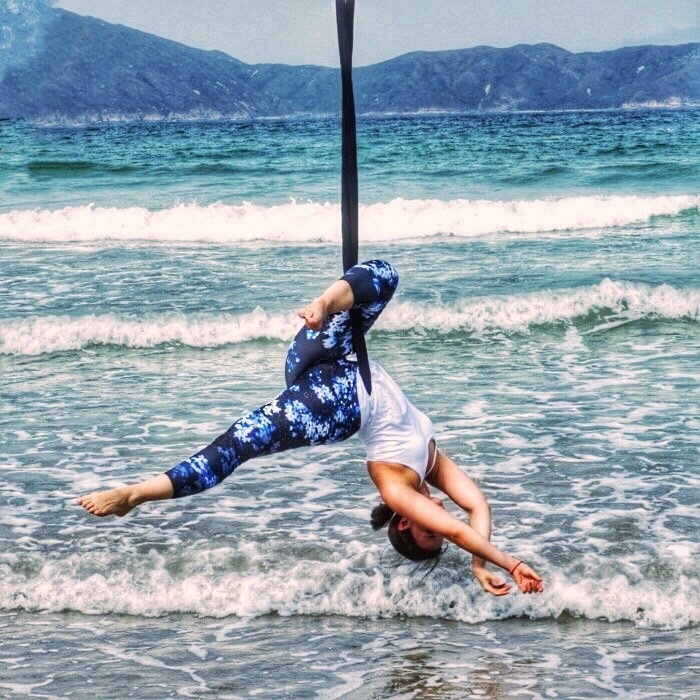 Melissa started her aerial practice in 2014, as a way to recover from a back injury. She soon joined Aerial Arts Academy, where she discovered the thrill of dancing in the air. Through AAA, Melissa became a certified Flyoga® instructor. She has also specially trained to work with children, ages 5 and up. Her teaching style is encouraging and fun. Melissa wants her students to increase their confidence and compassion through creative movement. Learn to flip, fly, spin and smile with her!